Last month my cousin Nancy was in town and we went to meet up with my brother and his wife for dinner at Ichiumi, a buffet place in Edison, NJ. There was a huge selection of food including lots of seafood items of varying degrees of quality. I spotted one of my favorite things to eat- monkfish liver (also known as ankimo in Japanese), so I of course had to sample it. Sadly, it was awful. Probably the worst I’ve ever tasted. It had a very strong fishy funkiness to it and strands of sinewy veins which ruined the texture. 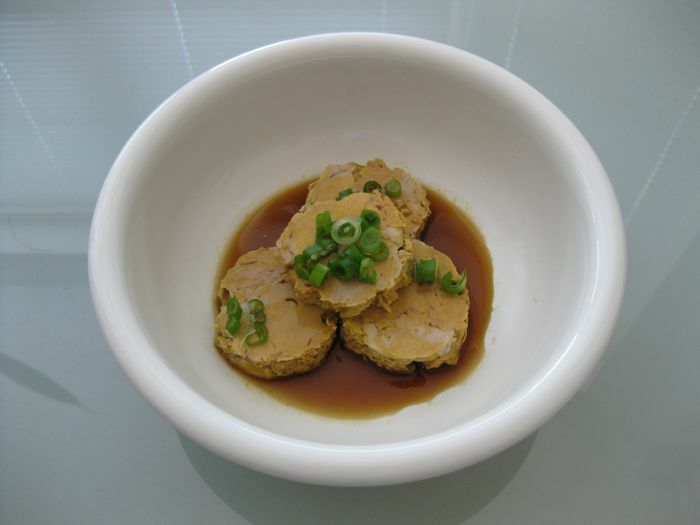 Monkfish liver is supposed to be a little bit funky in a liver-ish sort of way, but mildly so and with a totally smooth texture. It has been called the foie gras of the sea and for good reason. When prepared correctly it has a mouth-filling richness and a mellow creaminess that exemplifies decadence. 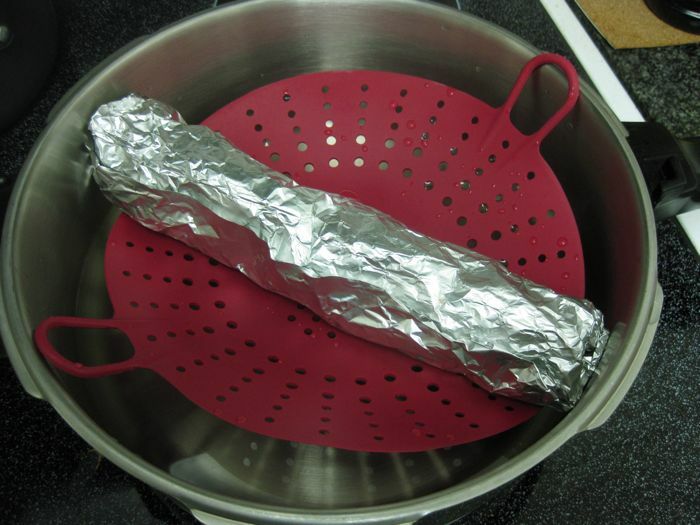 Place the bowl in the refrigerator to let it soak for an hour. This is the first step that Ichiumi must have botched because the salt and sake is what draws out the overwhelming funkiness. As you proceed, you will be exposing more and more of the interior of the liver. That allows you to run your fingers thru it looking for any other tough strands. Also cut away any red blood spots that you see. 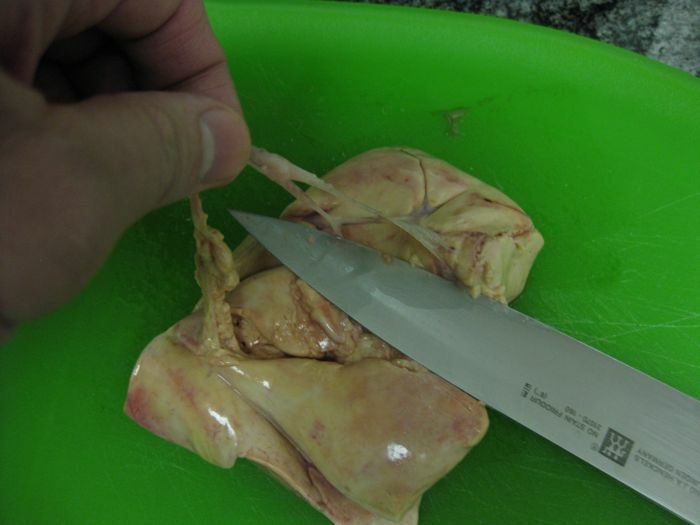 Don’t worry if it looks like you’re completely mangling the poor piece of liver and it ends up looking like little mounds of jello on your cutting board. In fact, you actually want it broken down into smaller blobs like that because that will make the subsequent rolling step much easier. Awesome, looks delicious. Monkfish is actually my fave app at the jap restuarant I goto. I just had it on tues. Yummy. 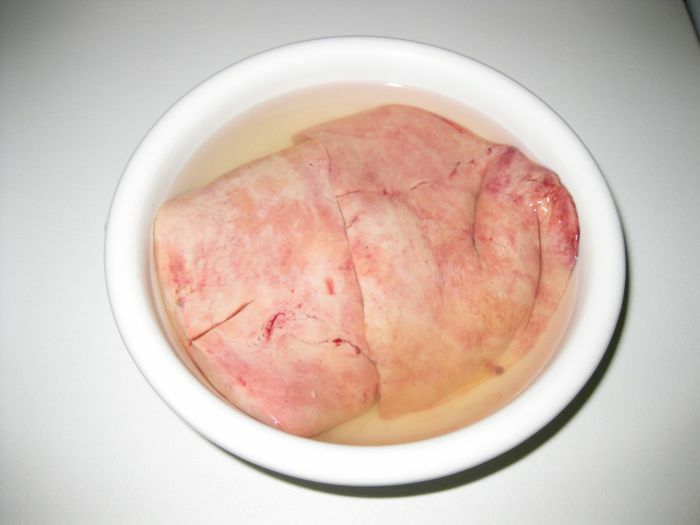 Hmm….marinating raw liver in alcohol and salt makes it taste sweeter? Our livers would be delicious!! lol, I’m pretty sure my liver would probably be like foie gras! I am not a liver fan, as you well know, yet every preparation that you describe to me or write about makes my mouth water. This really looks fantastic!